Analog Camera is a seriously fun and fast camera app with personality! From a design perspective, it’s very well done. The gestures and animations are lovely, and everything down to the sound design just works. 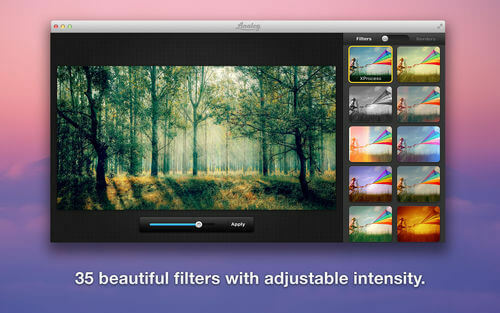 Improve your photos with a stunning selection of filters and borders. Analog Camera uses a simple, no-frills design with easy access buttons for both filters and photo sharing. 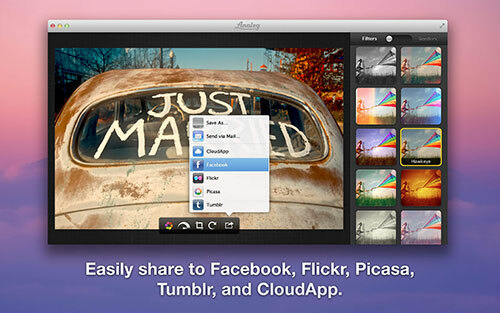 The app is fast, intuitive, gesture-based and built for social. It makes the stock camera app feel like it’s stuck in 2005. 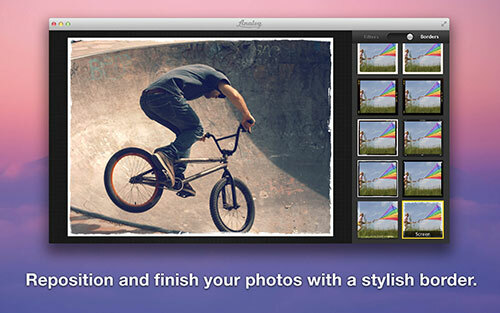 We built Analog to make it as fun and easy as possible to give your digital photos some soul. 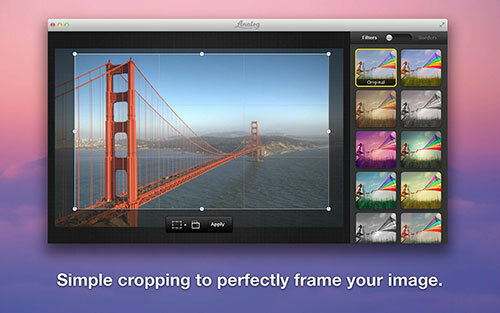 Drag in a photo, browse through filters and borders and start processing. There are 35 built-in filters, and over a dozen stylish borders to make your photos look amazing. Analog even makes sure that effects such as light-leaks have some natural variation – so no two photos look alike! Please feel free to contact us with questions and/or comments about Analog! © 2016 Analog. All Rights Reserved.